A self-providing fairy who'll do anything to get her hands on some treasure. 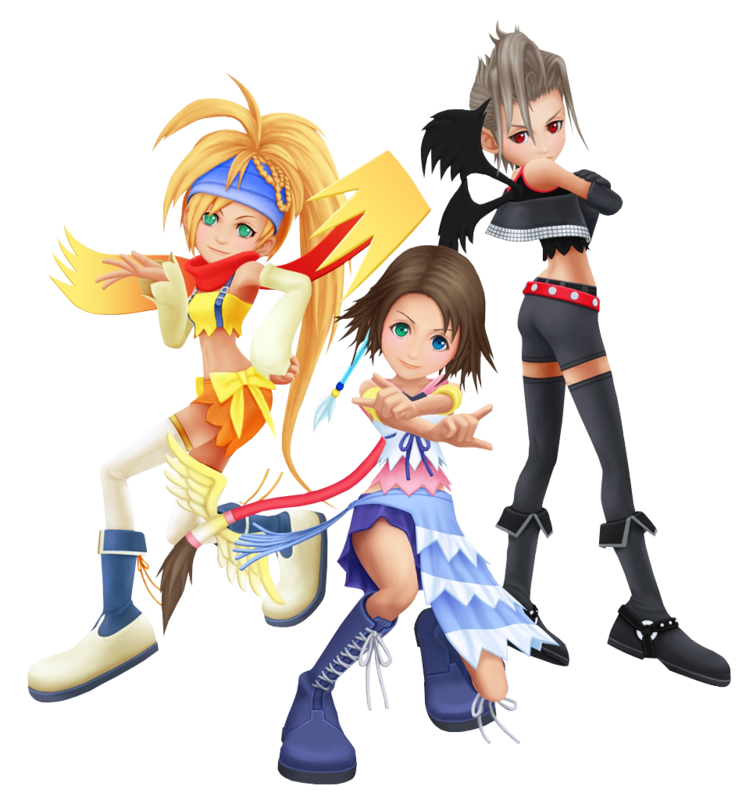 Paine is the level-headed one in her group, and she often keeps Yuna and Rikku out of trouble, if only by shutting Rikku up. Believing Maleficent could provide them with treasure, Paine allied herself with the evil fairy, as did her two friends. While fulfilling Maleficent's orders of spying on the Hollow Bastion Restoration Committee, Paine ran into Sora, Donald and Goofy who made her believe she could get the treasure she wanted by helping Leon instead. Determined to reach her goal, Paine even fought alongside Leon and Sora when the Heartless attacked and helped protect the town. Leon had no treasure to offer, however, and so Paine confronted Sora. Taking the circumstances into consideration made her give up on taking the boy's treasure, however, and instead she chose to help him. Together with Yuna and Rikku, Paine conjured a Keychain for Sora to use in the hopes it'll be useful on the rest of his journey.